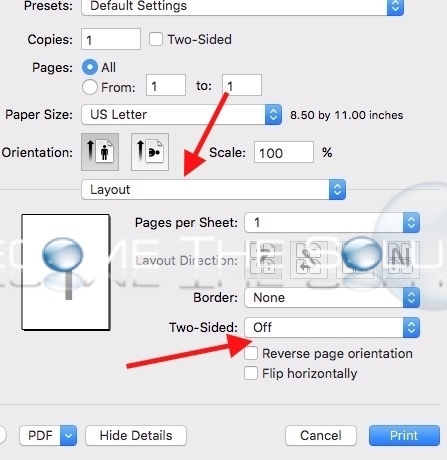 When you print in Mac X, the double-side print option is not typically shown by default. This frustrates many users. 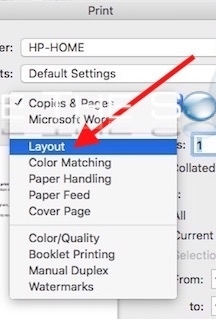 Fortunately, this option needs to be dug up from the layout preferences in print settings. 1. 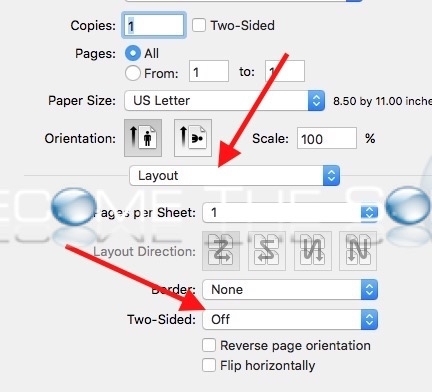 In Microsoft Word or similar Mac X program, print a document normally. 2. 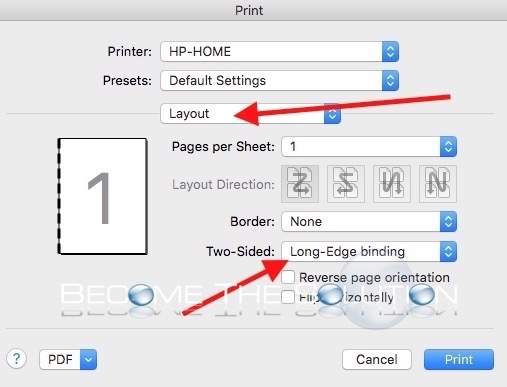 In the print dialog screen, select Layout to reveal the Two-Sided option. You can select between long-edge binding and short-edge binding. 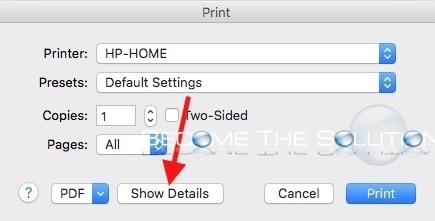 Remember: your printer must have the ability to do double-sided printing in order to see this option. 2. Select Layout to reveal Two-Sided option pictured below. 2. Click Show Details pictured below. 3. Select Layout to reveal Two-Sided option pictured below. 3. 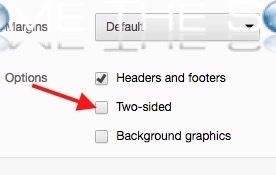 You will see Two-Sided option pictured below.